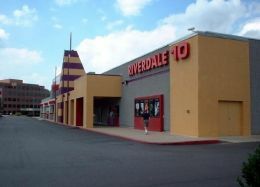 Opened in 1995 as the Carmike Riverdale 10 and closed December 2013. It reopened in June 2014. This movie theater is near Little Rock, North Little Rock, N Little Rock, Cammack Vlg, Cammack Village, No Little Rock, Nlr, Sherwood, College Sta, College Station, Sweet Home.